Whether you are an oil and gas company engaged in exploration activities, or appraising a major discovery or in the middle of a field development campaign, or you are a small independent or an indigenous operator evaluating a number of marginal fields, we have a wide range of services for a variety of data-gathering, analysis and reporting requirements to suit your needs. 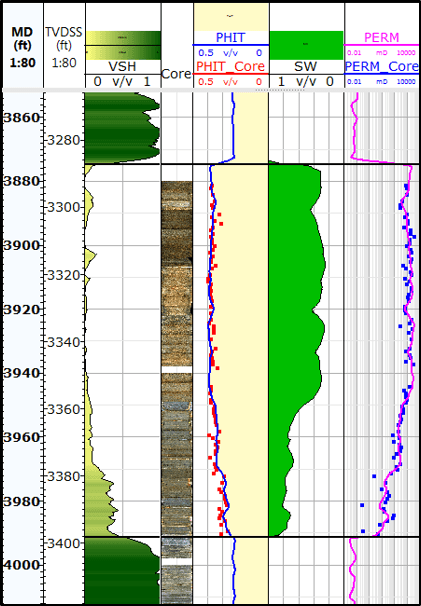 Quantitative log interpretation: Quick-look to detailed single well analysis and integrated multi-well studies; using both deterministic and multi-mineral approaches. Dedicated petrophysical support for reservoir modeling and rock physics studies. New well evaluation and re-evaluations of legacy data. Log reconstruction in badhole or missing data intervals. Rock typing and electrofacies classification. Permeability modeling using wireline logs, core and pressure data. Saturation height modeling from core capillary pressure measurements and log evaluation results. 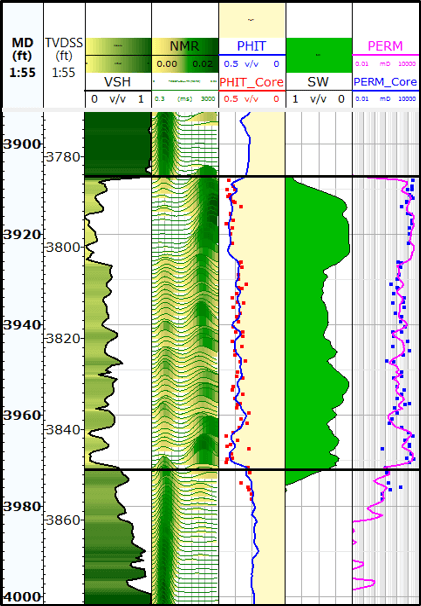 Formation pressure interpretation using wireline formation tester data. Interpretation of conventional and special core analyses data. Integration of log, core, mud log, NMR and pressure test data. Design of effective logging and coring programs. Support to drilling and geology teams for real-time operational decisions during wireline logging, coring and geo-steering. Quick look evaluations and summary reports on key findings while drilling. Out-of-hours operational cover during drilling. QA/QC of acquired wireline and LWD data. Customized petrophysical training services at client’s offices. Prospect screening studies for farm-in proposals and bid rounds. Review of in-house and third party petrophysical evaluations. Thinking about using our services? Call or Email us today.